There’s a common saying, often attributed to Einstein: “If you can’t explain it to a six-year-old, then you don’t really understand.” I’m often reminded of this when I’m trying to explain what KNX is and how it works. One of simplest analogies I use is the way a common language allows two people who have never met to immediately start communicating; of course, this is particularly effective if you’ve just met the person! The analogy can be easily expanded to cover how devices operate with their own intelligence and can perform a wide range of tasks, only communicating with other devices when necessary. 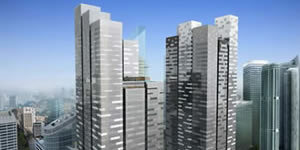 KNX, however, is much more than just a single language. It has the ability to communicate with many other languages and protocols. This concept can be counter to the argument for the use of KNX, given it is often portrayed as being the only control solution you need, but it is really a strength. 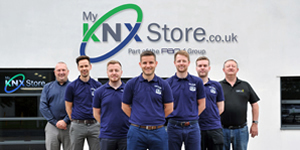 KNX is able to work seamlessly with solutions that are designed for a specific application that create functionality over and above that which you could achieve with KNX. Blinds are a great example of this. 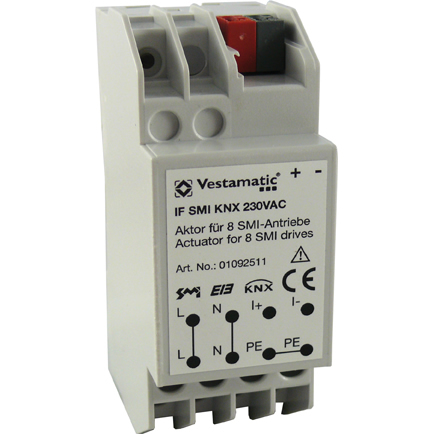 There are countless KNX blind actuators for 230V or 24V motors, but the level of feedback is limited, and a large installation will require a lot of cabling as each motor will require an independent circuit. Compare that to SMI (Standard Motor Interface) which is an addressable control bus that supports up to 16 motors on a single data line. The SMI (Standard Motor Interface) addressable control bus supports up to 16 motors on a single data line. Depending on the motor, either a 230V or 24V feed is also required, but all 16 motors can be connected to the same control and power lines. The motors will be more expensive than standard ones, but with less cabling, simpler installation and only a single interface required, the overall solution can be significantly cheaper. You will also be able to find out the true status and position of each motor, including any faults, and position the motors accurately. This level of control is often demanded in high-end homes, but has also major benefits in commercial applications, as you can accurately align intermediary positions and run times thereby creating a seamless look across large facades. 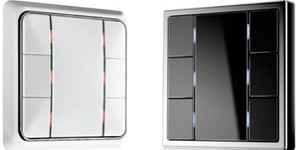 The Vestamatic SMI – KNX interface offers control of 8 SMI drives. Another great example of KNX working with another system to improve the end solution is DALI (or, increasingly, DALI 2 see Simon Buddle’s article DALI 2 and what it Means for KNX). Controlling lighting in an easy and reliable manner has always been one of the cornerstones of the KNX system, but DALI takes this to another level by creating a dedicated data network just for lighting. DALI and DALI 2 are dedicated to lighting control. As with SMI, the wiring is changed to have a data line and a power feed, and again, this can lead to cost savings across the project. 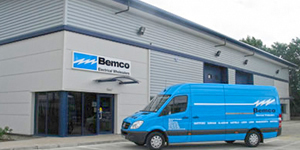 Being able to communicate directly to the end devices means higher-quality dimming, particularly of LEDs, along with operational feedback of the drivers/ballast and fittings. It can also be used to manage emergency fittings with integrated batteries, eliminating the need to manually test the batteries. 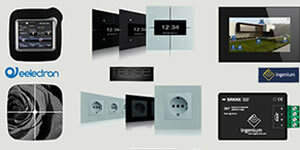 It is even possible to change the colour temperature of fittings to create human-centric lighting. 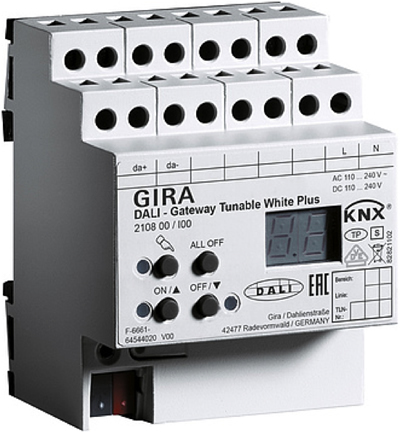 The Gira DALI Gateway supports tuneable white fittings. Both SMI and DALI have a restricted network size, so KNX makes the perfect backbone for completing larger projects, whilst the increased functionality SMI and DALI offer improves the functionality and performance of the KNX system. And, just like KNX, they are both standardised, thus ensuring you will get fixed, repeatable results. In this way, KNX is much more than just a single language. It is truly multi-lingual, as you can choose the right language for any given situation or use it as a translator between different systems. Even when faced with a (usually proprietary) system with which it can’t communicate, there are more than enough input and output types to make a solution possible. If only it was as easy to learn multiple languages in the real world!